The Mithlotok Fantasy Short Sword is the newest Kit Rae piece to add to your sword collection. 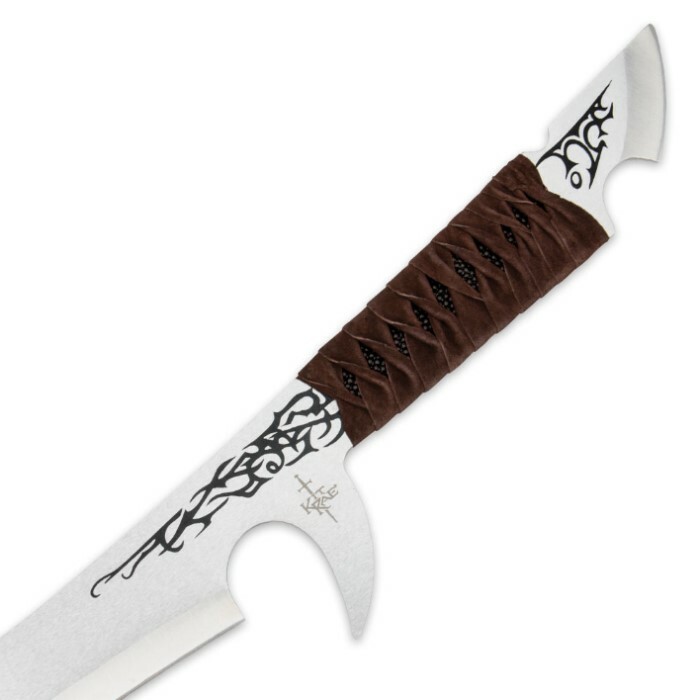 The stainless steel full-tang blade features a silk screen design. The handle is wrapped in genuine brown leather and black, faux ray skin. 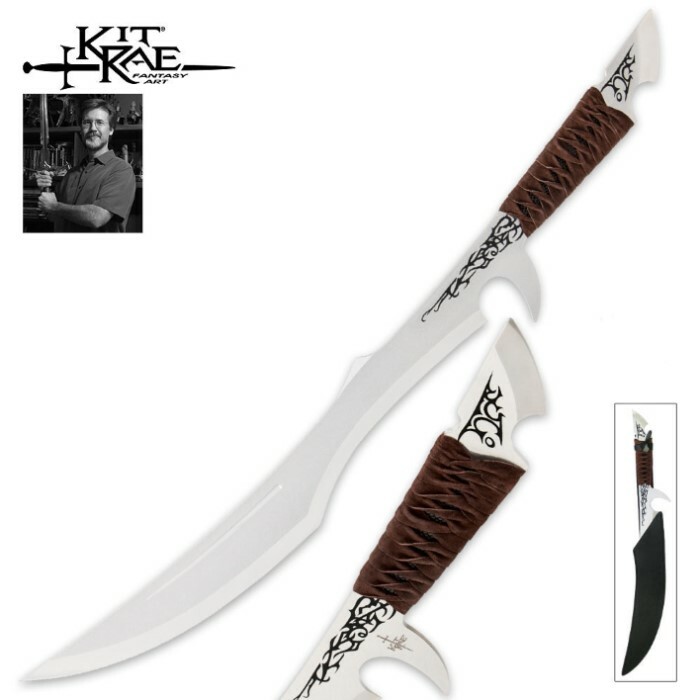 It is 25" in overall length and a genuine leather sheath completes the package.